Nyepi, The Balinese day of Silence – Angel House Ubud. 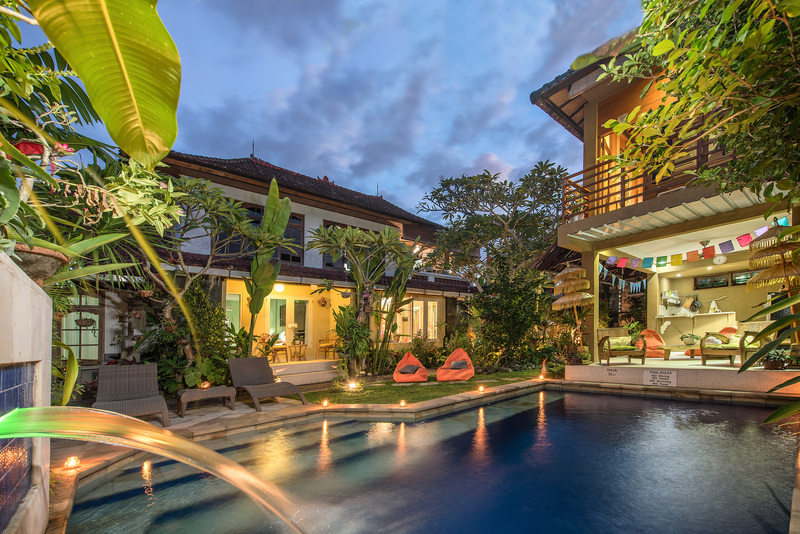 Boutique 3 suite hotel or Whole Villa Rental. Authentic Bali experience. Unique Accommodation. Nyepi Day in Bali is a New Year celebration unlike anywhere else on the planet. Bali’s celebrates the ‘Saka’ New Year as the Bali Day of Silence, an ultimately quietest day of the year, when all of the island’s inhabitants abide by a set of local rules, which brings all routine activities to a complete halt. Roads all over Bali are void of any traffic and nobody steps outside of their home premises. Most Balinese and visitors regard it as a much-anticipated occasion. Some expats and those coming from neighbouring islands prefer escaping Bali for the day rather, due to restrictions that surround the observance. Some visitors check coinciding dates ahead before their Bali trip, avoiding it altogether. Anyhow, Nyepi is worth experiencing at least once in a lifetime, especially since the preceding and following days offer rare highlights to behold! Before the Silence Before ‘the silence’, highlight rituals essentially start three days prior to Nyepi, with colourful processions known as the Melasti pilgrimages. Pilgrims from various village temples all over Bali convey heirlooms on long walks towards the coastlines where elaborate purification ceremonies take place. It is one of the best times to capture on camera the iconic Balinese processions in motion, as parasols, banners and small effigies offer a cultural spectacle. Then on Saka New Year’s Eve, it is all blaring noise and merriment. Every Balinese household starts the evening with blessings at the family temple and continues with a ritual called the pengrupukan where each member participates in ‘chasing away’ malevolent forces, known as bhuta kala, from their compounds – hitting pots and pans or any other loud instruments along with a fiery bamboo torch. These ‘spirits’ are later manifested as the ogoh-ogoh to be paraded in the streets. As the street parades ensue, bamboo cannons and occasional firecrackers fill the air with flames and smoke. The Nyepi Eve parade usually starts at around 19:00 local time.